Got myself a new machine recently. Had FreeDOS out of the box so it was up to me to get it up and running; the way I like it. I chose Windows 10 Insider Preview version and the latest Ubuntu 15.04 (Vivid Vervet) distribution for my dual-boot configuration. Let's just say that Windows 10 is still WIP - and how! But that's not the point. Even if I was using Windows 7 or 8, I still feel that the mantle of user-friendliness need not sit with Microsoft any longer. Here's a few quick points of comparison. First off - install size and system requirements. The Ubuntu bootable USB is under 1GB whereas any Windows installation is 3.7GB. You can run Ubuntu without a lag on a machine with under 1GB RAM. But try that with Windows and you'll be pulling your hair with frustration. Right out of the box - It's time for someone to say it. Nothing works out of the box for Windows anymore. It just doesn't. I had to install display drivers to get a decent workable resolution, audio drivers to ensure sound was setup and ethernet drivers. Thankfully, Win8 drivers worked for Win10 as well. On the other end of the spectrum, everything worked out-of-the-box for Ubuntu. Didn't have to install anything other than the OS. Ease of Setup - Here too, there's no major difference left between Ubuntu and Windows. In fact, if I didn't have to partition my hard-drive, I think the Ubuntu installation was as easy. As far as install-time goes, Ubuntu installed and was set up in under an hour while I took an hour and thirty minutes for Windows to get installed. User-Friendliness - I belong to the "habit-is-user-friendliness" school of thought. If you use an OS long enough, it gets "user friendly". It's a very natural cognitive bias we all have; that familiar things are better than unfamiliar things. Hence we give them a label of user-friendliness. But consider the facts. Ubuntu comes with little features that are really useful. An example is the "disable-touchpad-when-typing" feature. It essentially locks the keypad when you are typing. On my Windows 8 machine, there have been soooo many times that my cursor has moved accidentally when typing and I've had to redo the whole thing. Ubuntu/Linux has always had multiple deskops while Windows is just coming up with Workspaces. The Linux community with GNOME was much faster to experiment with a "Panel" whereas Microsoft adapted it in Windows 8. I do have a lot more examples, but the point is that there's no significant difference between either OS when it comes to user-friendliness. In fact, now that I am used to Ubuntu GNOME, I prefer it to the Windows interface. My mouse automatically moves to the upper-right corner of the desktop even on my Windows machine to get the GNOME panel to pop-up (does that without a click btw)! App Installations - This is where it gets a tad tricky. If I have a tarball or a package that I need to manually install; well, Linux gets messy. But if I've got the app available in the Ubuntu Software Centre, it's a breeze. In fact, it's easier than Windows. I just go to the product website, gives me a 1-click install option, I click on it, it opens the Ubuntu Software Centre automatically, I accept installation request, enter my credentials and it just sets up the software. As easy as falling off a log. 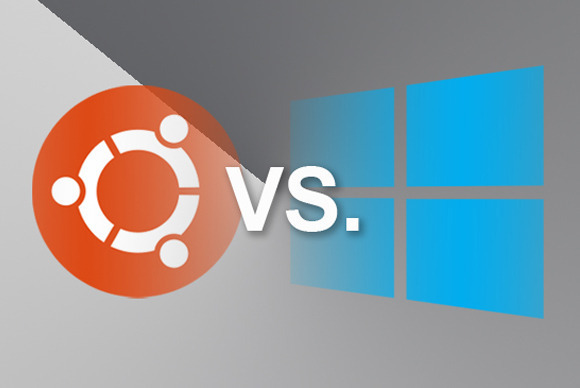 In summary, I must say that Ubuntu and the Linux community have bridged the gap between Microsoft and open source linux distributions fast and well. No longer can we say that Windows is more user-friendly. Not at all. In fact, as a user; I wouldn't use Windows if I had a viable alternative for Microsoft Office. The day is not far when the open source community cracks that problem too.